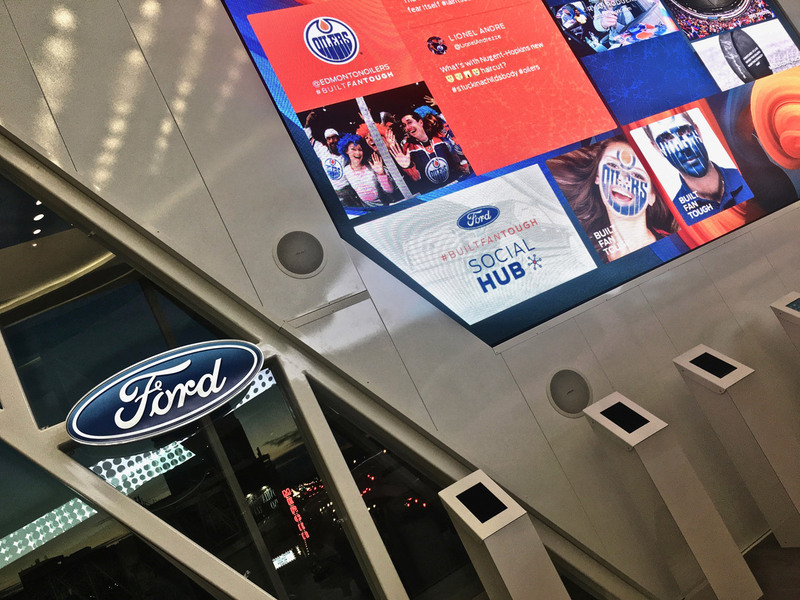 Rogers Place, the new home of the Edmonton Oilers, is not a hockey rink, it’s a veritable shrine where diehard fans go to worship their team. 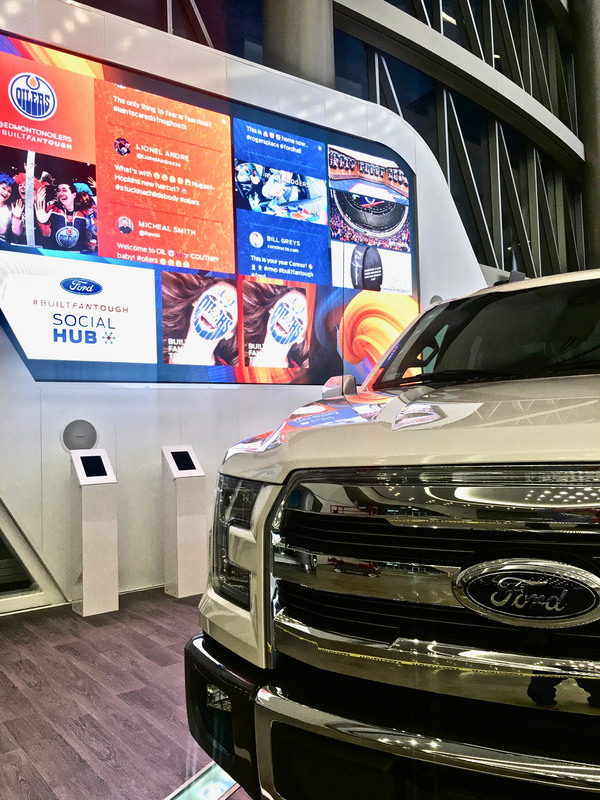 The Ford F-150 pickup is the bestselling vehicle of any category in North America and in Alberta as well, where the brand is held in nearly as high esteem as the Oilers themselves. 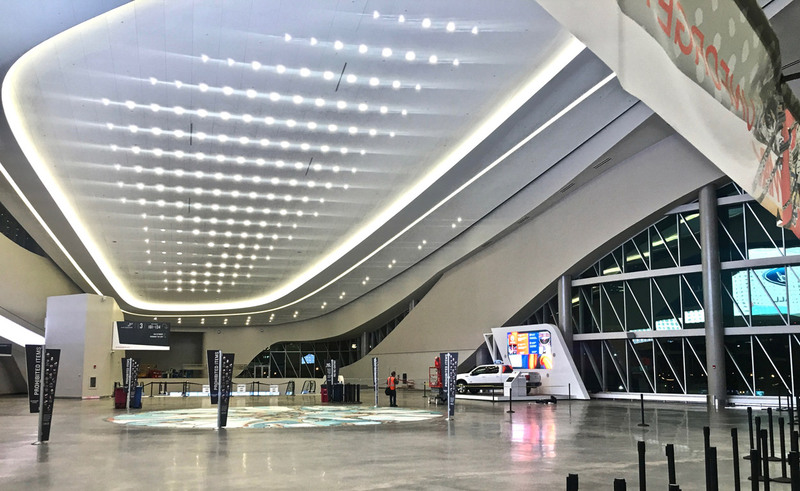 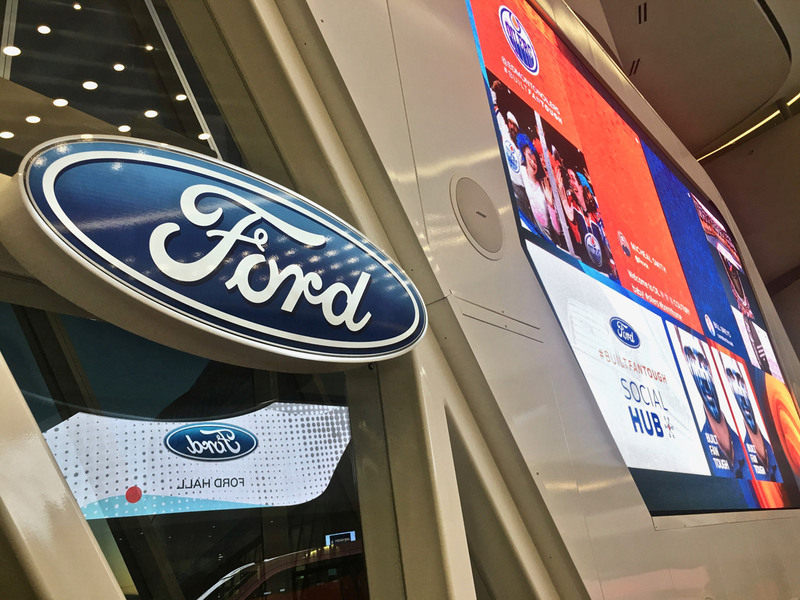 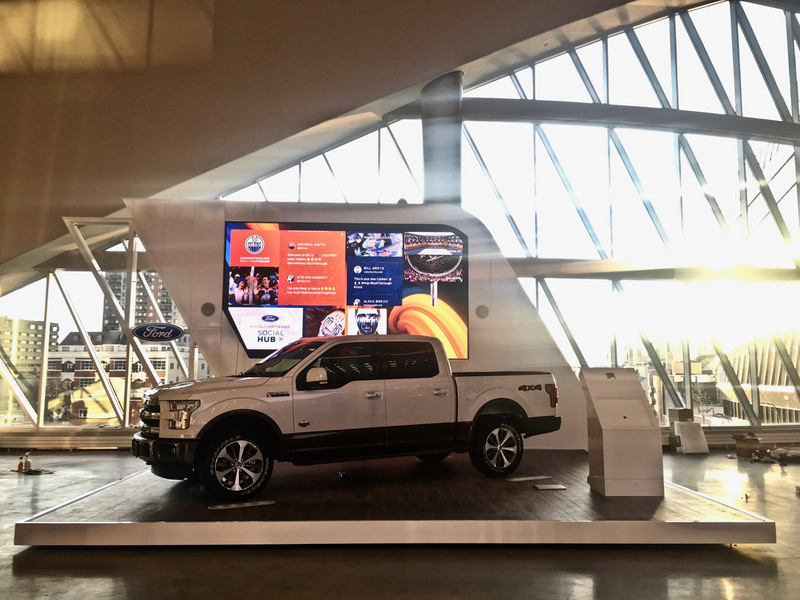 When Ford acquired naming rights to the arena’s stunning grand foyer, Ford brand managers knew they had a special opportunity and challenge on their hands: how to pay homage to these two venerable brands with the construction of a permanent installation that would also integrate seamlessly with the centre’s distinctive architecture, which has garnered numerous awards and accolades. 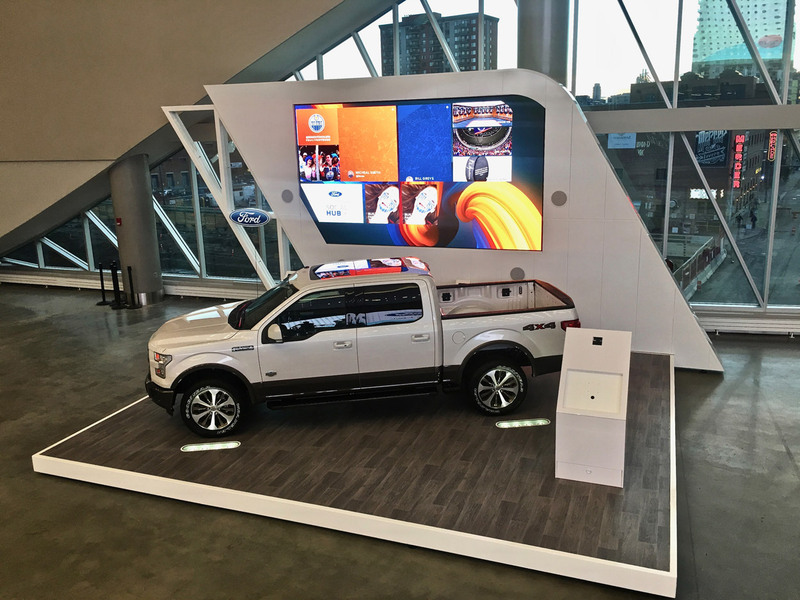 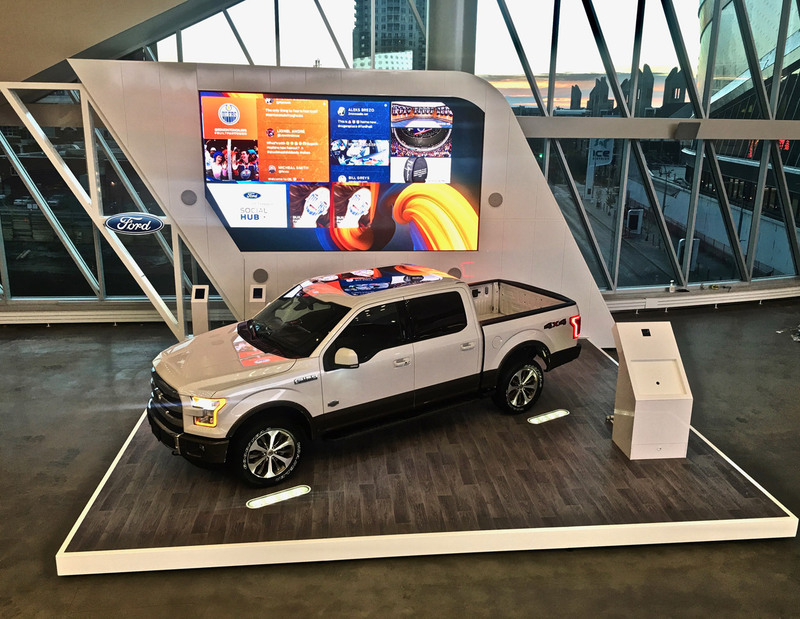 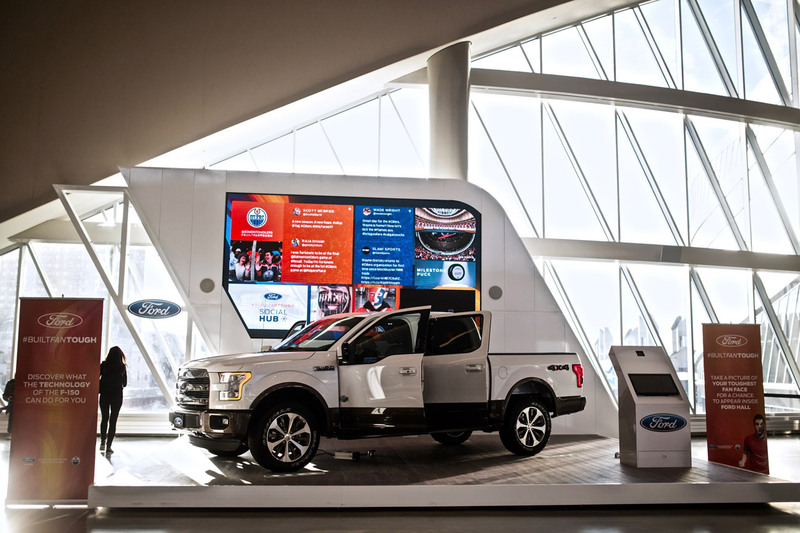 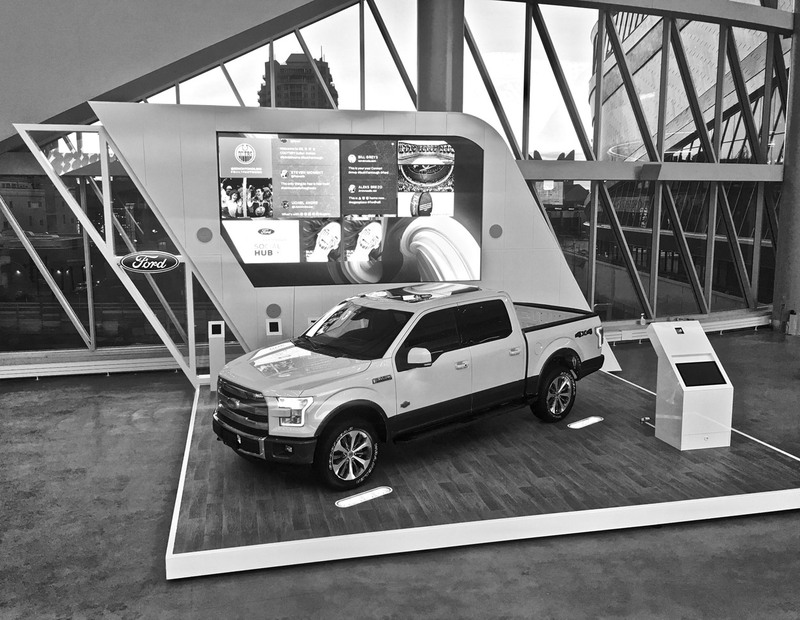 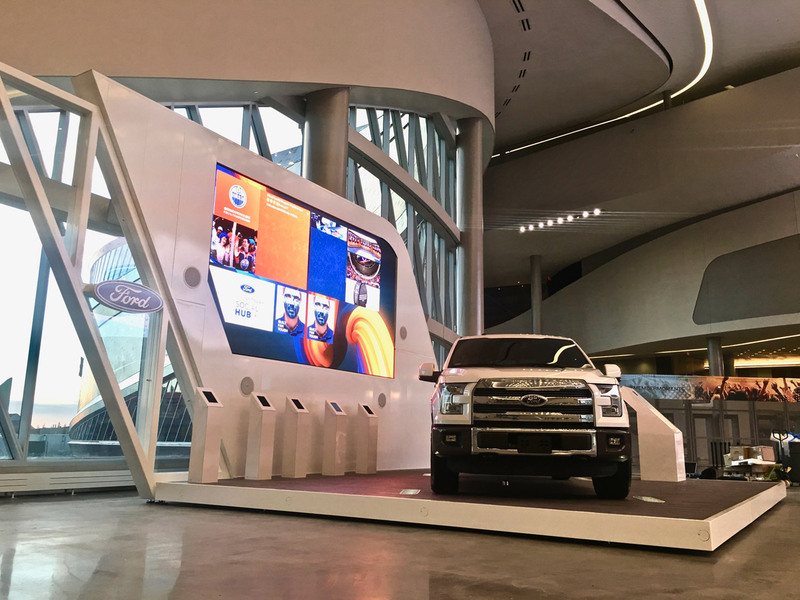 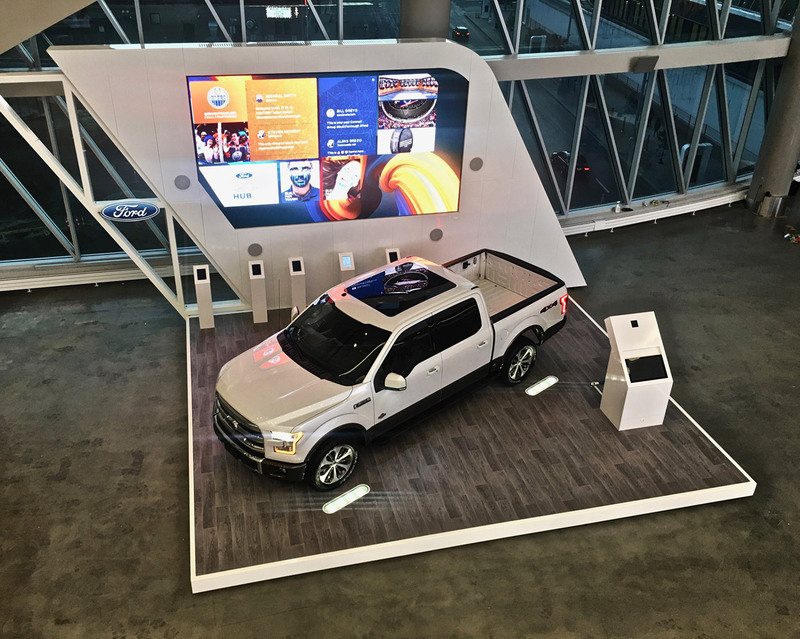 Cinco, FORD’s interactive brand agency, turned to Loki to create the kind of permanent installation that would deliver high-performance activations game after game while reinforcing the F150’s reputation for power and style and its industry-leading use of light-weight aluminum in its truck bodies.